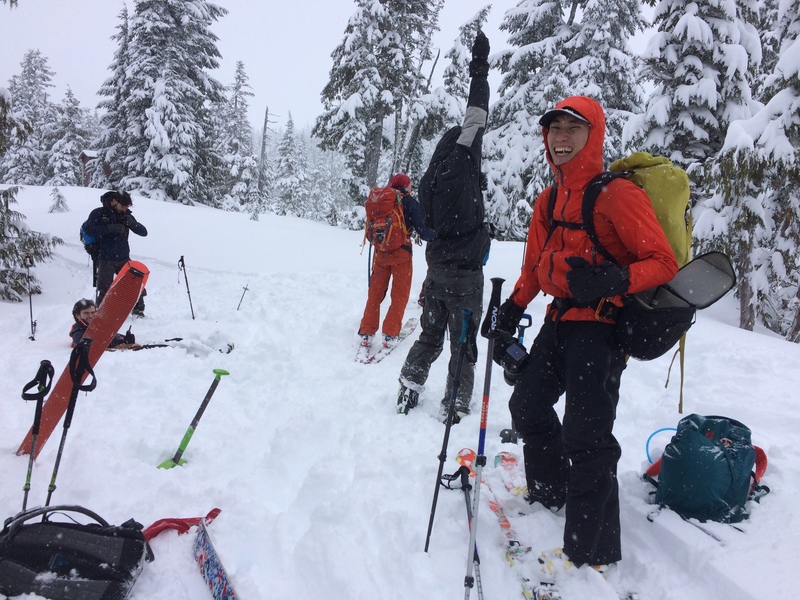 Saturday December 2nd, 8 VOC members went towards Garibaldi Provincial Park for some avalanche rescue practice, skiing and touring. The morning weather in Vancouver was rainy, which indicated potential snowy weather in the mountains. The group gathered at McDonalds in Squamish at McDonalds for some morning coffee and planning for the day. 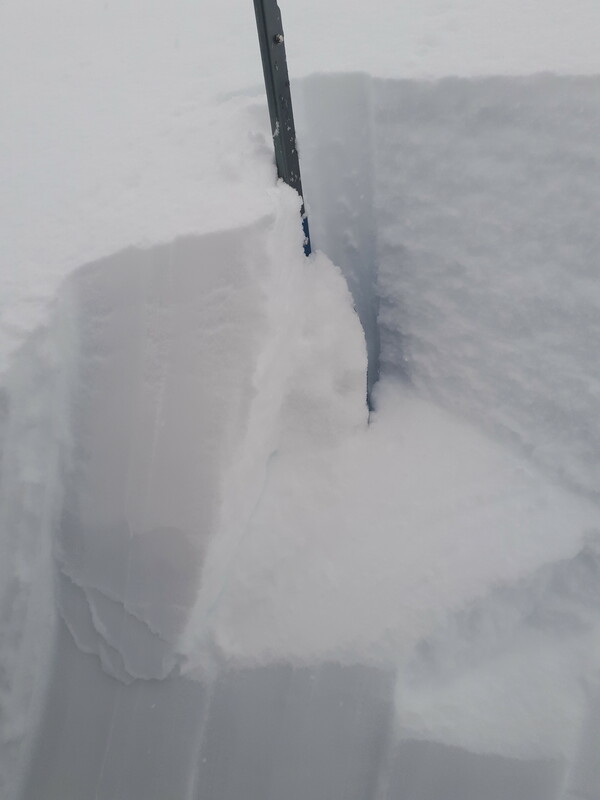 The avalanche forecast said 3 – 2 – 1 and potential problems could be wind slabs in North/North West/North East due to windy weather earlier during the week. The weather forecast for the day said cloudy and a bit of snow (which turned into a lot of snow!). After looking for Lukas glass to his glasses on the parking lot, giving up finding it, looking again and then FINDING it (thanks to Inga! ), we drove towards Diamond head. There was no snow on the road, but we were stopped by the chain-on area where we parked the cars. The first part up to the where the trail started we had to boot-pack due to lack of snow. 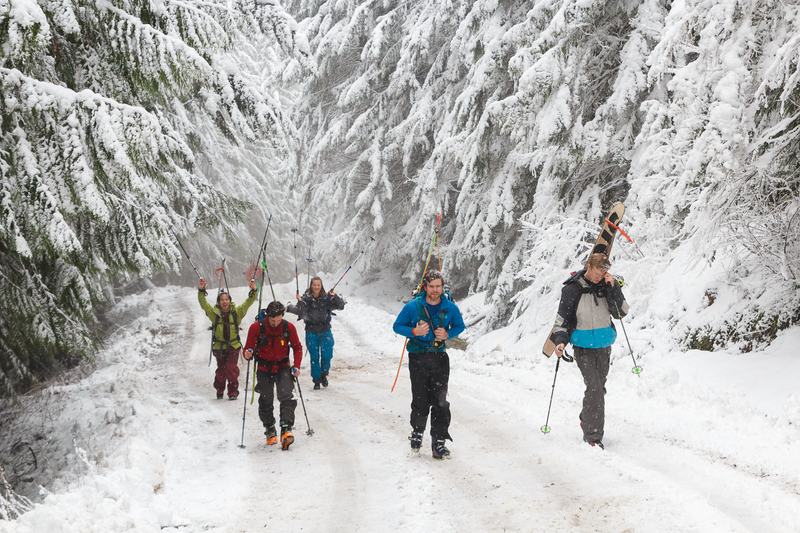 However, at the trail head we could start the ski touring while fresh snow was pouring down around us. Beautiful white surroundings and quite warm weather. After approximately 2 h we came up to Read Heather Hut where we enjoyed some lunch and dried our sweaty clothes… The hut was busy with happy snowshoers and skiers whom enjoyed the early season snow. While some of us finished the lunch, Lukas and Ryan went outside again to set up an avalanche rescue incident. We did some training with multiple burials, the fresh snow made it quite easy to dig backpacks under the snow. After the training we discussed what we did good, what was difficult and what we could improve. No we were ready for some skiing! We gathered our stuff, made sure everything was above ground and headed towards Pauls Ridge. 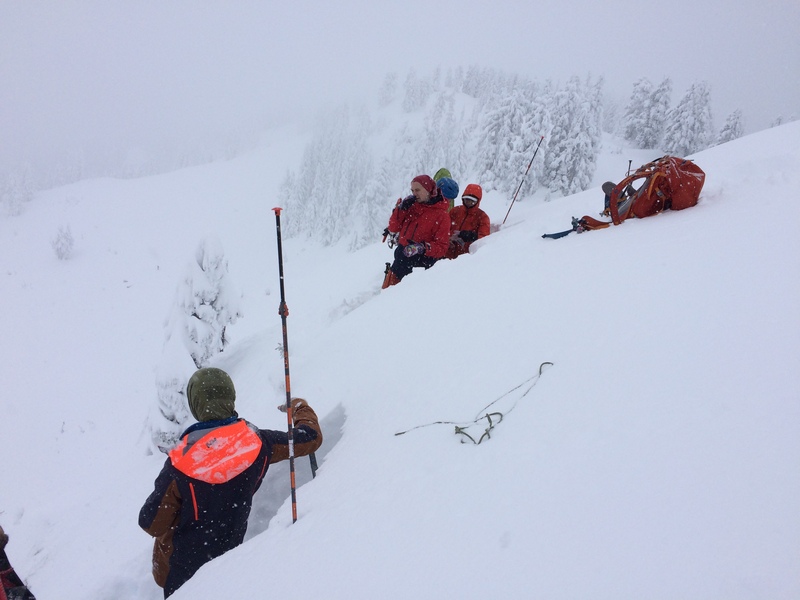 Once at the top of Pauls Ridge we dug two pits to analyze the snow layers and assess the avalanche risk. 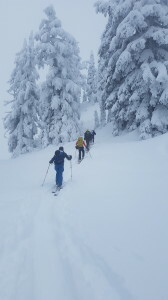 Due to strong layers we assessed the risk low and decided to ski down. 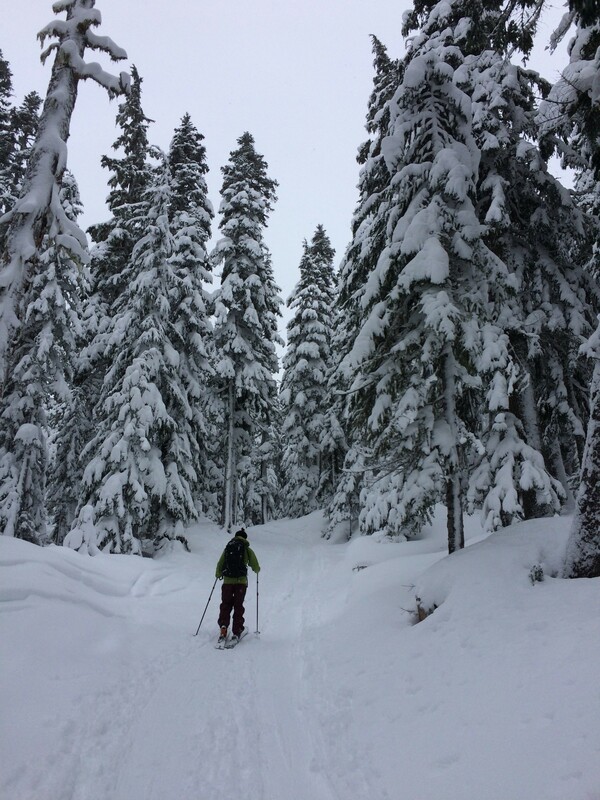 Despite the heavy snowfall the visibility was OK and the ski down Pauls ridge was deep! The snow was a bit heavy but still a lot of fun. 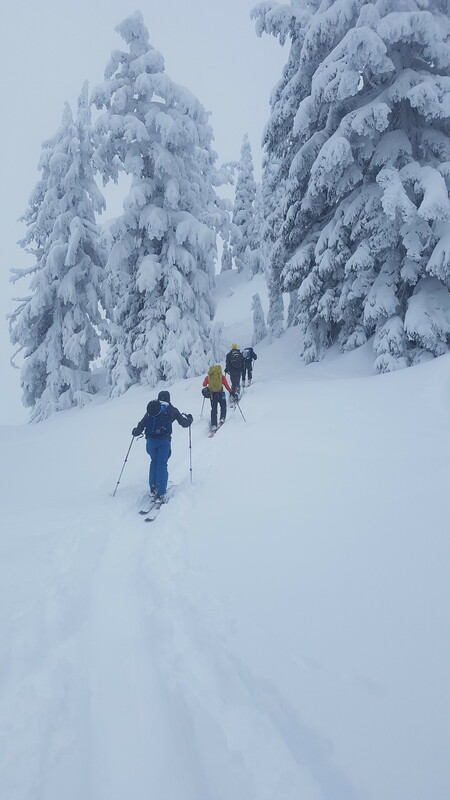 We did a quick hike up again to gain some elevation before we headed down towards the hut, the snowfall had increased but the visibility was still OK. However, I managed to ski straight into a man-made hole and make a classical face plant. 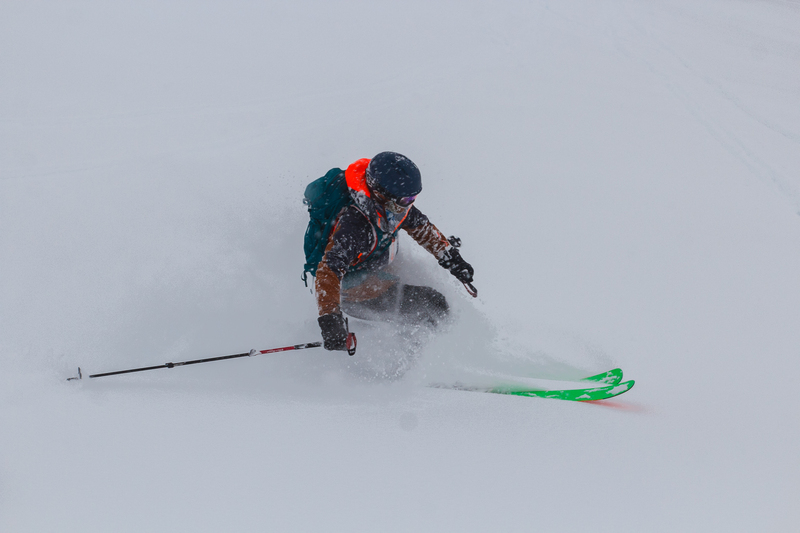 Luckily the snow was super soft! I was very disappointed none saw it and could share a great laugh! After picking up some stuff in the hut we skied straight towards the parking lot, chasing the short day’s last light. The trip ended at Mag’s 99 where we enjoyed some Mexican food and summed up the day. Thanks for a great VOC trip (my first!) and thanks Lukas for organizing! 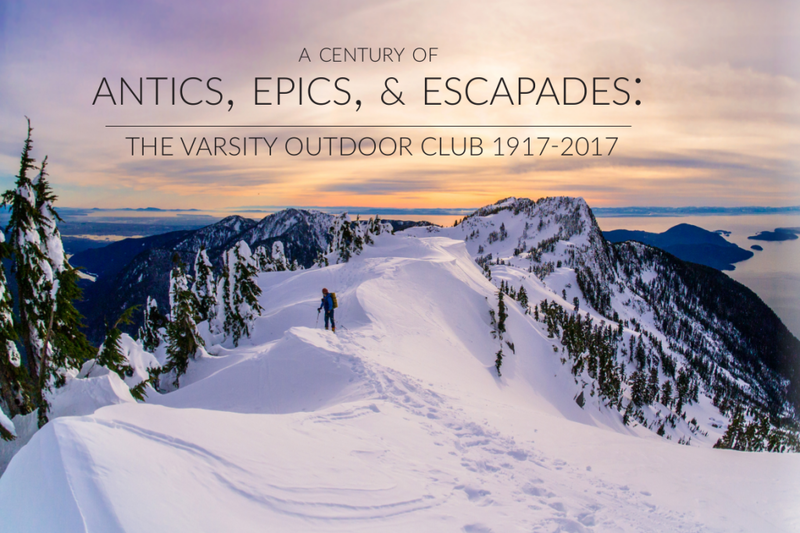 This entry was posted in Ski, Trip Reports and tagged avalanchetraining, backcountry, day trip, daytrip, early season, Garibaldi Park, pauls ridge, powder, Red Heather, ski, ski touring, skiing, skitouring, Snowy, Winter. Bookmark the permalink.